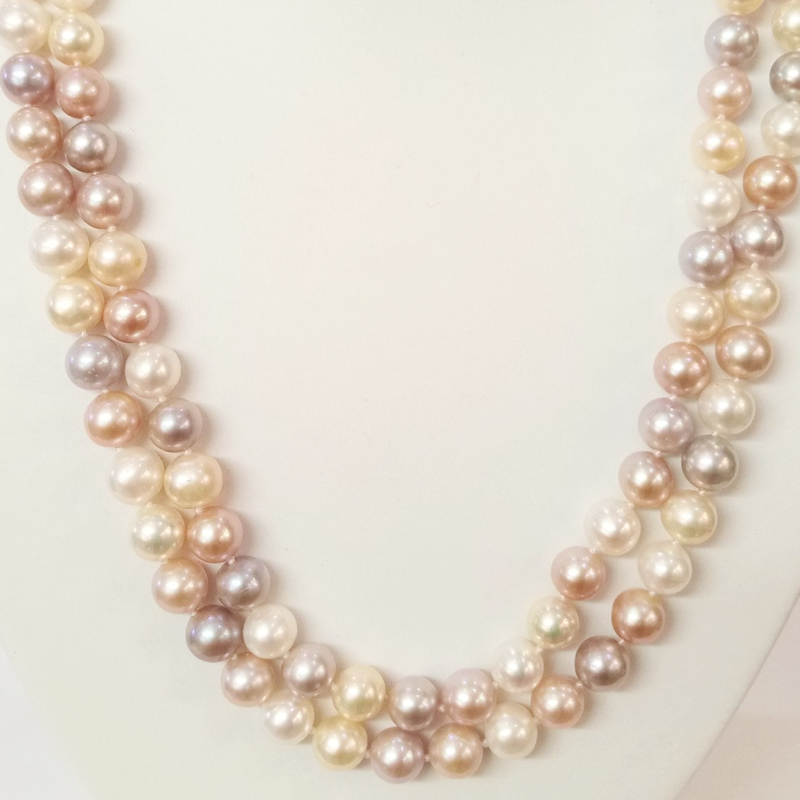 A long strand of naturally coloured (not dyed) high-quality AA grade pearls fastened with a gold clasp. We carefully select and arrange the colours and choose a simple solid gold traditional clasp. Then we string them on multi-strand silk and hand-knot each one in the old-fashioned way. 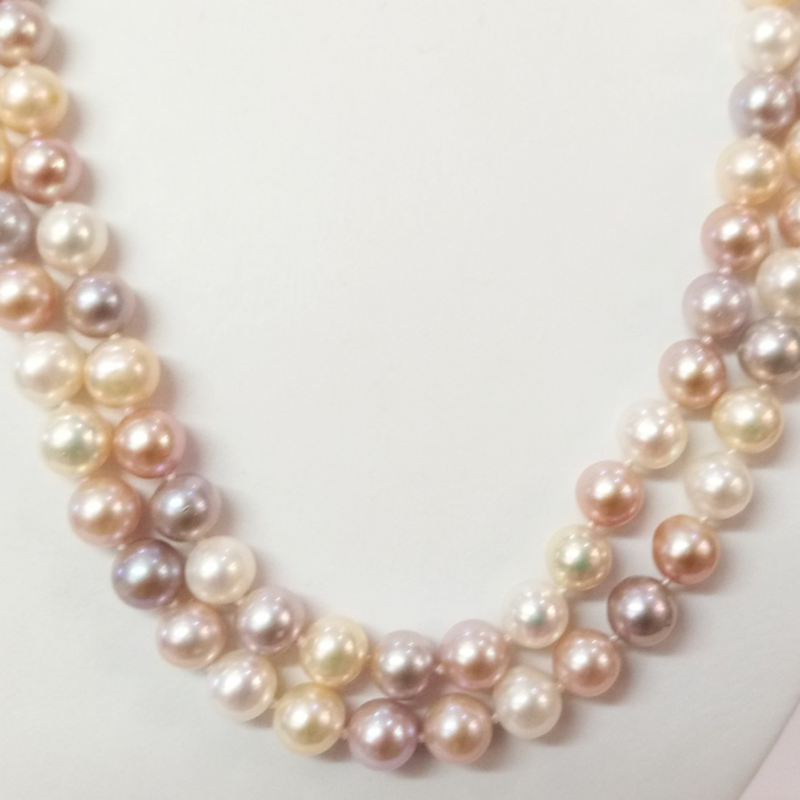 Now, what could have been a simple strand of pearls becomes something very special and versatile. 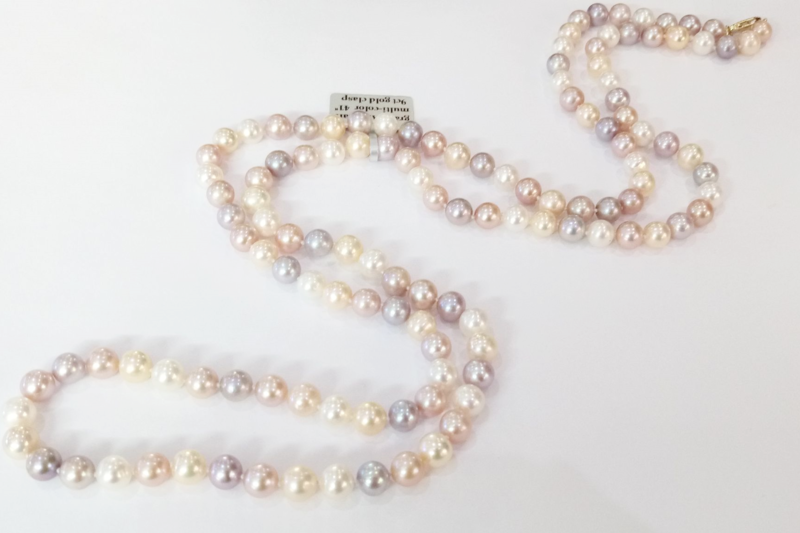 You can wear them in several ways, formal, casual, town or country - long, double, medium-long plus choker, loosely bunched into a knot or even as a fabulous bracelet! The colours will complement almost any outfit and they will never be anything but stylish and elegant. 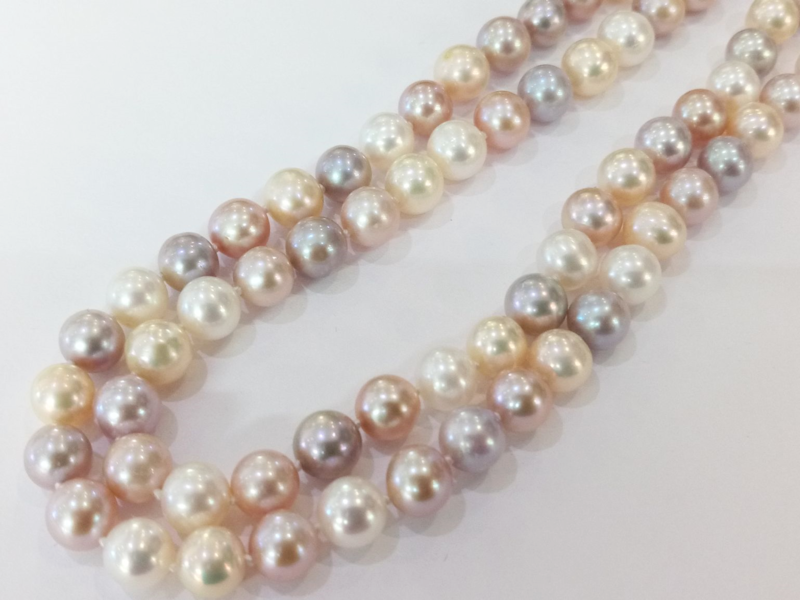 Your pearls come in a pretty and practical purse and are guaranteed against any defect in workmanship or materials. We will pay for delivery to any address in the UK.